There's nothing quite as serene as an aquarium. The ripple of the water, beautiful fish swimming peacefully around, it's truly a little slice of nature. 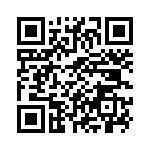 Now you can have it on your Android phone, too. 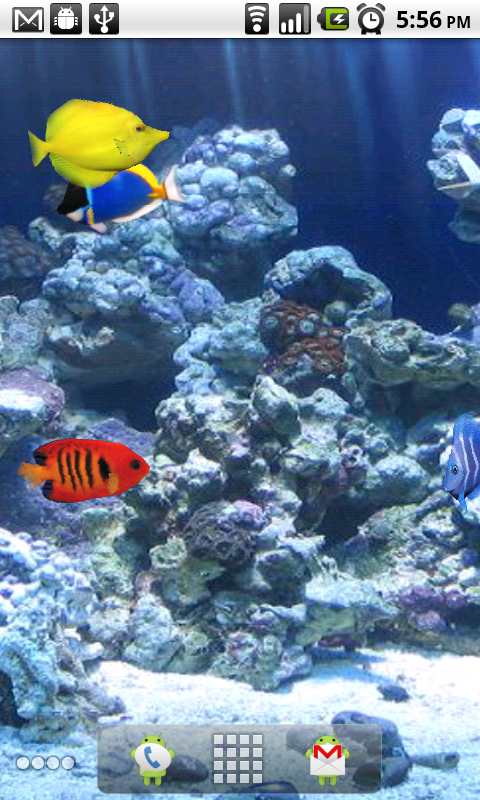 Aquarium Live Wallpaper is a live wallpaper that has tropical fish swimming across your homescreen. No crazy blocks of light, sonic waves keeping time with your music, or zombies, just the calming effect of flowing fins and sparkling water. Best part: It doesn't slow down the phone at all. We all could use a little quiet time alone with our phones, right? Follow the break to see a few more screenies and download links, turn on some quiet music and chill with the fishes. 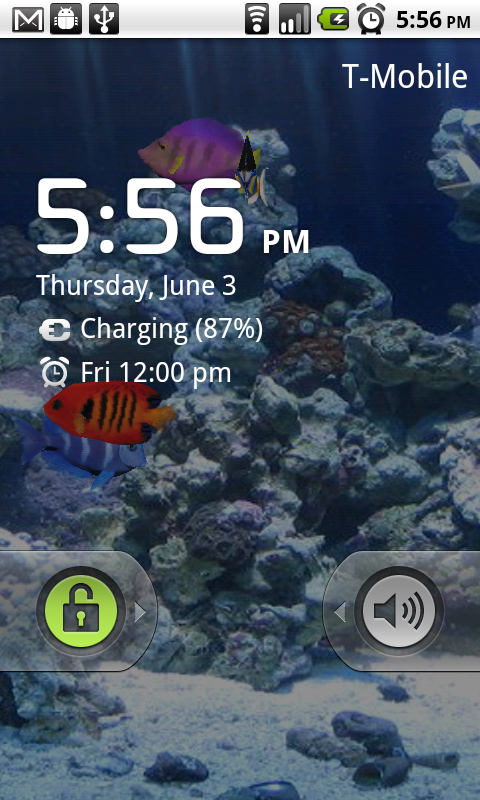 Android 2.1 or higher, ROM must have live wallpapers running. The paid version allows you to tweak some of the settings. 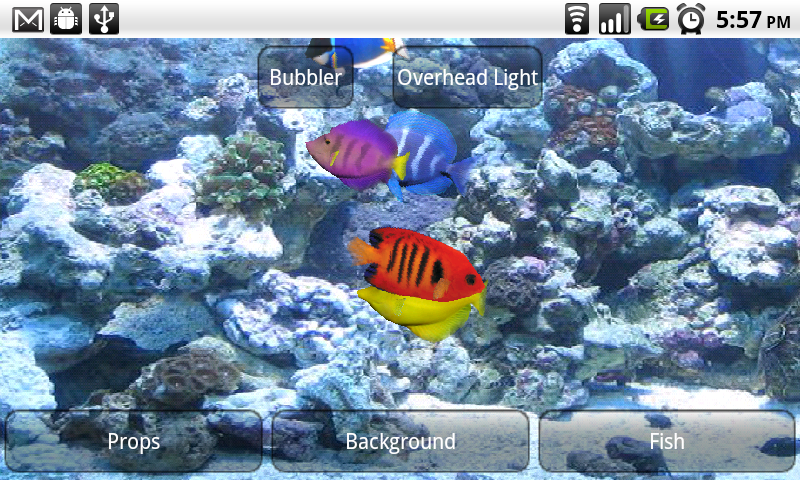 You can control the scenery, plants, type and number of fish, as well as environment settings like lighting and bubbles.